Mr President, FORUM-ASIA makes this statement in solidarity with the Judicial System Monitoring Programme (JSMP). We appreciate that the government of Timor-Leste has accepted 146 out of the 154 recommendations it has received, particularly recommendations on freedom of expression, transitional justice, and the ratification of the Convention on the Rights of Persons with Disabilities (CRPD). We hope that the government will consider the remaining eight recommendations that it took note of, including those on ratifying the Convention on the Non Applicability of Statutory Limitations to War Crimes and Crimes against Humanity. While we are pleased that the government has accepted recommendations on freedom of expression, we regret its explanation that the Media Law is in line with international standards and respects freedom of expression and the right to information. The current media law does not have space for media freedom, and places undue restrictions on foreign journalists and international media outlets. Strict media accreditation guidelines also restrict reporting by independent journalists and bloggers. Additionally, provisions in the penal code criminalise defamation and have been used against journalists who expose corruption in government ministries and the judiciary, as well as the Prime Minister’s office. We call on the government of Timor-Leste to amend the media law in line with the International Covenant on Civil and Political Rights (ICCPR) and review legislation that place undue restrictions on freedom of expression. On the area of transitional justice, we welcome that the government of Timor-Leste has accepted recommendations on prioritising a law on reparations and on establishing institutions of memory. We call on the government to take all necessary measures, including legislative measures, to fully implement recommendations of the CHEGA! report of the Commission for Reception, Truth and Reconciliation (CAVR). This includes ensuring reparations and justice for victims of past human rights abuses such as enforced disappearance. 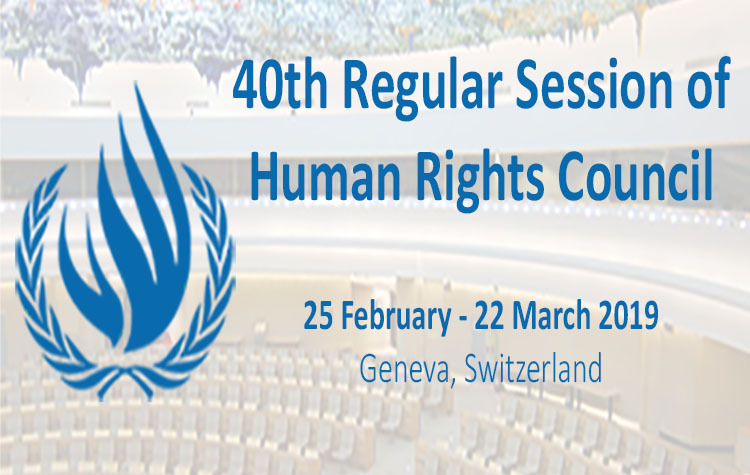 Furthermore, we encourage efforts at preventing human rights violations through the ratification of the International Convention for the Protection of All Persons from Enforced Disappearance, human rights training of security forces, and access to justice for all, giving priority to people in rural areas. We look forward to following developments on Timor-Leste’s implementation of UPR recommendations, in collaboration with all relevant government branches and ministries. We encourage the government to develop a concrete and time-bound follow-up plan in consultation with the national human rights institution and civil society organisations. We look forward to further engagement with the government at this Council. For the PDF version of this statement click here.